The Kitsap Peninsula region is surrounded by 371 miles of shoreline and every city, large and small community is located on or near the waterfront, many with majestic views of famous Mt. Rainier and the Olympic Mt. Range. Access to the Kitsap Peninsula region is via one of four major WA State Ferry Routes, the twin Tacoma Narrow's Bridge and state highway from the south. The region has one of the largest naval installations in the world and home to dozens of historic military, naval, maritime memorials and attractions. The Kitsap Peninsula region founders include two local Native American tribes, Norwegian and Asian-Pacific settlers. Includes Cities/Towns: Bremerton, Hansville, Keyport, Manchester, Olalla, Port Gamble, Port Orchard, Poulsbo, Seabeck, Silverdale, Southworth, Tracyton. 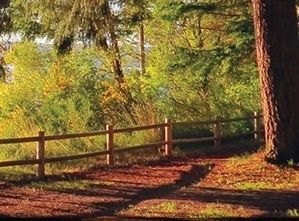 The Kitsap Peninsula is considered the back-yard playground for the Seattle-Tacoma area specializing in access to the natural environment and eco-recreation activites. The Kitsap Peninsula Water Trails was recently designated part of the US Parks National Water Trails System. The region also have several golf courses, awarding craft-beverages (spirits, wines and micro-brews), and is the largest retail shopping center in the Kitsap-Olympic Peninsual and West Sound region. Kitsap is home to a wide-range of destinations featuring artwork created by artists known around the region, nation, and internationally. BI Museum of Art, The Bainbridge Island Museum of Arts has earned praise for its collection of contemporary art and art education events. There are dozens of art galleries around the region including Lisa Stirrett Glass Art Gallery in Silverdale which hosts gatherings of local artists the first Thursday of every month. There are a variety of ways to arrive and get around the Kitsap Peninsula. A tourist favorite is to ride aboard the beautiful WA State Ferry. If you are driving or arriving via the Seattle Tacoma Airport south of Seattle, you can drive, catch a shuttle, or bike across the impressive Tacoma Narrows Bridge. You can also fly in via the Bremerton National Airport. Public Transportation/Bus Service: Kitsap Transit meets each ferry, and offers public transportation throughout the area, with connections to the Olympic Peninsula via Jefferson Transit. For seniors and people with disabilities who are unable to use regular routed buses, Kitsap Transit ACCESS services provide transportation options. Jan 34.9 F° 40.1 F° 45.4 F° 7.2 "
Feb 35.6 F° 42.2 F° 48.8 F° 6.8 "
Mar 37.6 F° 45.5 F° 53.5 F° 5.5 "
Apr 40.8 F° 49.8 F° 58.7 F° 3.4 "
May 46.0 F° 55.4 F° 64.8 F° 2.3 "
Jun 50.5 F° 60.0 F° 69.5 F° 1.6 "
Jul 53.9 F° 64.4 F° 74.9 F° 1.0 "
Aug 54.5 F° 65.0 F° 75.5 F° 1.1 "
Sep 50.7 F° 60.6 F° 70.5 F° 1.8 "
Oct 44.4 F° 52.3 F° 60.2 F° 4.3 "
Nov 39.1 F° 44.6 F° 50.1 F° 8.4 "
Dec 35.0 F° 40.0 F° 45.1 F° 8.7 "
The Kitsap Peninsula region has four distinct season with short but beautiful summers usually between 70-85 (maybe one week or so there is a "heat wave" that reaches 90-plus, colorful spring and falls, mild winters with temperatures reaching below freezing only a few times. Yes, it does rain, but not as much as people are told.